A rare antique silver etched pendant representing the female form. 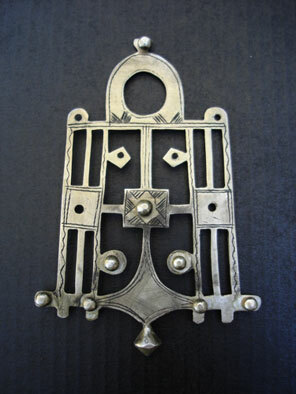 The Bella are the slave caste of the Tuareg and the etched points on the pendant suggests they were travelling when the pendant was made. A rare collectors piece.